Is there any industry more likely to benefit from engaging the tools of social media than the restaurant industry? Most people would likely rebut this question with the comment that the technology industry is particularly suited to benefit from social media. But restaurants have a unique connection to social media that transcends the technological connection between social media and the technology industry. Restaurants are, after all, social meeting places. It is where we go to meet friends, family, and loved ones, in order to connect with them, offline. Patronizing restaurants is in some ways the fullest expression of socialization. In a world where more of our socializing is performed online, meaningful real world social interactions are becoming rarer. The social aspect of eating out remains one of the few arenas where we are literally forced out into the open, to engage with the physical world. With this in mind, I would like to examine how restaurants are making use of social media. I spoke with Chef Ryan Parrot (@ChefRP on Twitter) of the restaurants Table ONE and Iguana, both in Oklahoma City. Chef Ryan “gets” social media; he understands, unlike many other businesses, that social media is a two-way street. Because of the rapid growth of sites like Twitter, Facebook and Yelp, many restaurants have jumped into the social media space without a deliberate strategy or understanding of social media. Restaurants see these mediums as just another advertising opportunity. So we see lots of “one-way” messages: menu postings, daily specials, special events, theme dinners and the like. And while that is certainly an appropriate use of these new venues, it misses perhaps the most valuable aspect of social media: dialogue. The great power of Facebook and Twitter is in its conversational capability. This is what we mean when we talk about a “two-way street.” Potential patrons do not simply want to be informed about restaurants’ operations. They want to participate. They want to talk to the chef or the managers. They may want to make suggestions or offer criticism, as well as let a restaurant know when they are doing something right. But most of all, patrons and users of social networking sites want to know that they are being listened to, that their concerns are being heard and considered, and this is why conversations are so important. It’s pretty hard to have a conversation with an entity afraid or unwilling to engage their audience. Chef Ryan told me that his two restaurants regularly use Facebook and Twitter. They collect emails for their subscription list; they post events and specials, and photos of their food. He also told me very clearly that his online work and that of his team, regularly translates into increased “covers” at their restaurants. People are only too happy to come in and mention a special they saw advertised. But Chef Ryan also takes time out of his day to respond to questions, to engage in conversations on Twitter and to learn from both his followers and those he follows. Similarly, Linda Fondulas of Hemingway’s Restaurant in Killington, Vermont, told me about a particularly positive experience she had with the restaurant’s blog. The chef went foraging in the Vermont woods, and then designed a menu based around the products he was able to gather such as wild ramps and dandelion. They wrote about the experience on their blog, and it attracted a lot of attention from the community. To me, this is the perfect example of a restaurant leveraging its unique knowledge, its knowledge of food, and sharing it with their customers as a way to generate interest and increase their business. But there are limitations that, for the time being, restaurants will have to negotiate. Time is perhaps the biggest of these. Chef Ryan told me that he has wanted to write long-form blog posts as a way to talk about his business, the inspiration for his menus and as a way to promote the farmers he buys from. But he doesn’t have the time. While he enjoys engaging his audience and the wider world through social media, he still has to plan menus, place orders, manage a kitchen, prep and finally, cook. There simply isn’t enough time. 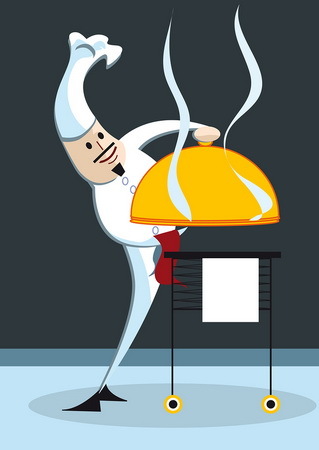 Most restaurants cannot afford to hire a dedicated social media coordinator. In the near future though, this will be a necessity not a choice. Finally, I spoke with Shari Bayer, who does PR for the hospitality business in the New York area. Shari acknowledged that social media held great promise for restaurants. But she also cautioned that the players were still actively trying to figure out how best to leverage social media to their advantage while not abandoning their core mission of serving customers and maintaining their business, especially during this recession. According to Shari, “we are all learning together,” regarding best practices, but she is optimistic that as social media moves more into the mainstream, restaurants will innovate and experiment with social media and obvious winners and losers will start to appear. What restaurants do you know that actively use social media? What do you think are the most effective ways that restaurants can employ the two-way paradigm I described above? I’d love to hear your thoughts, as well as any success or horror stories you’ve heard of. Creator and Producer of Farm to Table: The Emerging American Meal, a reality TV show based on chronicling the people places and trends in the local sustainable foods movement. I blog at Farm to Table and around the web. I can also be found on Twitter @ZacharyCohen. Agreed on the time constraints issue–it’s an investment. That said, part of the game is to help your story travel on its own, via word of mouth from trusted peers. Many restaurants won’t have to adopt a new fluency in all things social media so much as bake share-worthiness and share-ability into things they’re already doing. For example Hemingway’s, who seem to be doing things that would interest a fair range of people, might consider ways to capture and create media around their activities. If they video’d some of their foraging or stuck images on flickr while (or soon after) doing it. The idea is to create useful, engaging nuggets that enthusiasts can use to evangelize for you. Social media is a fantastic way for restaurants to continue dialogue with their core customers, and we believe that most establishments should have some kind of strategy. That being said, we like to see the chefs, owners, and managers continue to do what they do best – run spectacular restaurants and prepare great food. If the restaurant cannot afford an in house marketing manager, then they should consider other options. 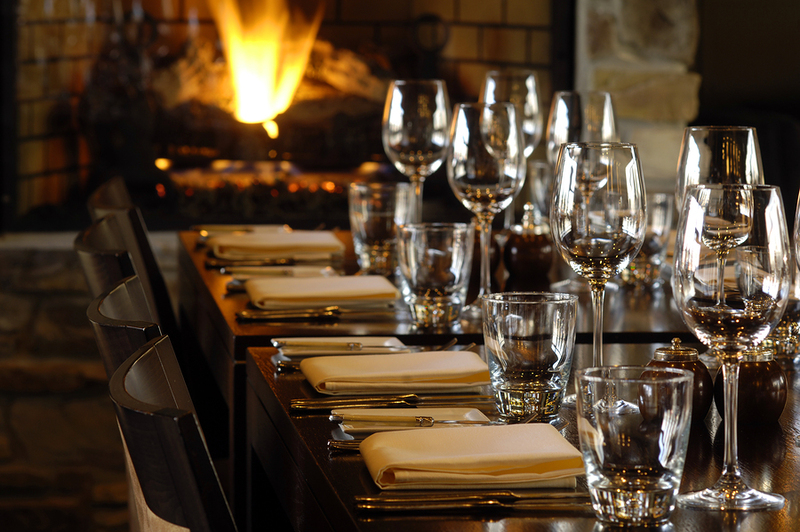 Foodie Aspen is a local guide to Aspen restaurants and nightlife . We provide low cost options for local restaurants to take advantage of our social media networks. Because we are a niche, hyper-local publication, we allow the restaurants to not only connect with their loyal customers, but to reach new customers that they may be missing out on. It makes much more sense to reach out to the entire market, rather than just the customers who step through your door. Barry, thanks for the comment. I agree that restaurants rely on word of mouth probably more than any other business that I can think of. I also agree that they won’t have to adopt a whole new language. I think that the biggest thing is having the conversation be two way, not just one way. maybe it would be a good idea, to send your articles to all the major restauruants to see if they have an interest in participating. this is especially a way of getting them all involved in the community, helping to draw in more business, and here the needs and requests of their patrons. Your right. People want to be heard, and they do want to give their input.This was a wonderful article. You’re right – chefs are already saddled with plenty of responsibilities and time constraints, but social media is definitely becoming a necessity for businesses. I would say it falls under marketing/pr, but too many restaurants have limited marketing in the first place. I’m in the process of developing a social media consultancy plan designed specifically for restaurants and food service operations – at the request of a few restaurateurs and chefs in the area who are interested, but don’t have the time or the understanding to dive in. I think it’s certainly an area that restaurants are missing out on. @Jeri, not sure I agree. I’ll explain. This is going to sound odd (I run a communications design company), but I don’t think that dialogue is the first or most important thing people in the retsaurant industry need to understand regarding social media. I believe they first need to see themselves not simply as businesses that need to put buns in chairs, but as members of communities of common interests. Whether they focus on local, organic, traditional, regional, etc cuisine, they should aim to be perceived by that community as useful members. By clearly pushing the needle on an issue that resonates with the community, they are more easily noticed and remembered. By creating shareable and share-worthy media around the activities they are already undertaking towards moving that needle, they make it easier for people who are interested in what they’re doing to refer them to their own networks. Great article. As entrepreneurs if we know how to educate small business owners how to use social media there is an absolute underdeveloped niche just waiting for everyone. Teaching small business how to engage their customers via the internet and showing them that the internet is more than an electronic catalog of their products and services can be lucrative. The best thing? There is virtually no competition where you live. Small businesses are everywhere. Very well relation between social media and the restaurant business, i must say. I just wanted to mention a nice example of a gourmet bakery that has been using Twitter very succesfully. They have managed to spread the word among their customers they had a new twitter account and invited everyone who wanted to get freshly baked bread to follow them onTwitter. They twit everytime there's fresh bread coming from their ovens. Customers enjoyed the idea! But most importantly, both customers and the bakery benefit from the social media interaction. Customers don't need to “guess” the right time their favorite bread will be available and the bakery knows it will sell them fast.